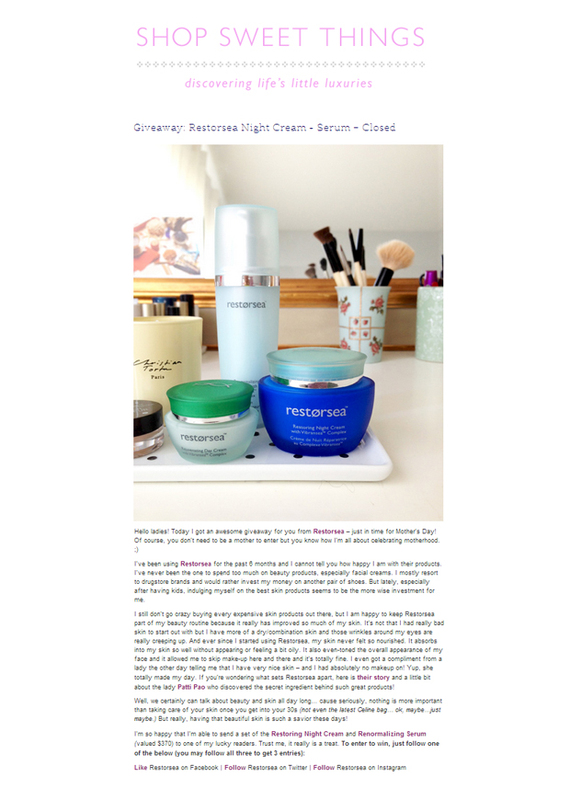 "Ever since I started using Restorsea, my skin never felt so nourished. It absorbs into my skin so well without appearing or feeling a bit oily. It also even-toned the overall appearance of my face and it allowed me to skip make-up here and there and it’s totally fine. I even got a compliment from a lady the other day telling me that I have very nice skin – and I had absolutely no makeup on! Yup, she totally made my day."